Following on from the previous post, where we had a cake to put in the freezer, here’s something easy to make with that cake. Or you could use any shop bought cake if you wanted to. Firstly, if using cake you’ve previously frozen, defrost it overnight. Add a tablespoon or two of either cream cheese frosting or butter cream frosting (I’ve usually got some in the fridge or freezer). Start with just the one tablespoon, add it to the cake crumbs and whizz up in the processor until all the crumbs are mixed into a dough. Using your hands, make small balls out of the dough, leave to cool in the fridge for an hour. Meanwhile melt some chocolate in a bowl over a pan of hot water. These are perfect for this warm weather we’re having. 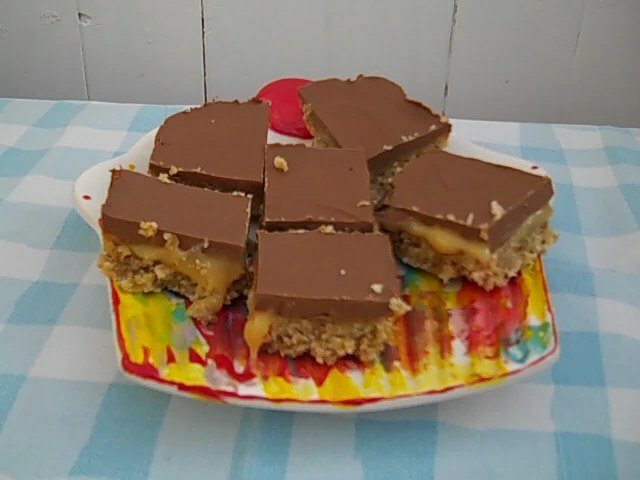 No bake, oh yes please! Place the biscuits into the bowl of a food processor and blend until crumbs form. Add peanut butter and melted butter and process until completely combined and the mixture holds together. Line an 8” x 8” square pan with baking parchment. Spread the peanut butter mixture into the prepared baking pan and press with the back of the spoon to create a smooth surface. Melt chocolate and 2 tbsp (30g) of creamy peanut butter in a bowl over hot water.. Stir until smooth. Meanwhile place the other 2 tbsp (30g) of peanut butter into a small sauce pan over low heat and stir until melted and smooth. 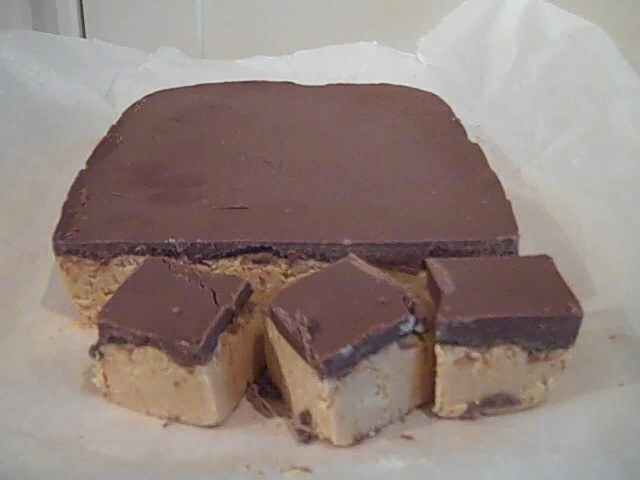 Spread the chocolate, peanut butter mixture over peanut butter biscuit layer. 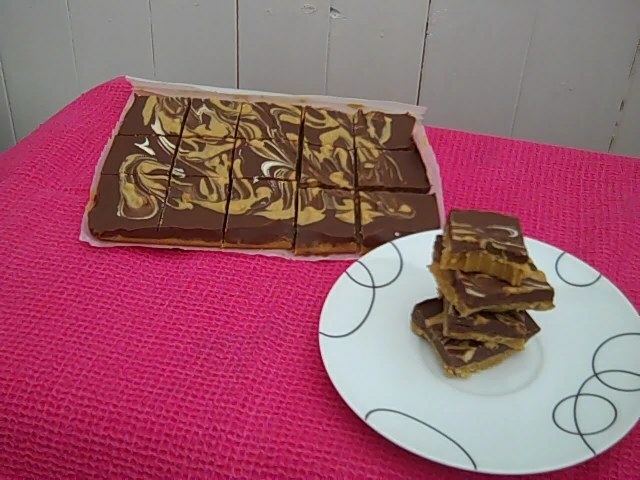 Add teaspoons of melted peanut butter on top and with a knife create swirls on the surface. Refrigerate for 2 hours to set. Let it sit 10 minutes at room temperature before cutting. Bars can be frozen well. Enjoy! If you like coconut you’ll love these! Toasted and crunchy on the outside, moist in the middle along with a chocolate bottom. Preheat the oven to 160C/gas 3. Set oven racks in the upper and lower thirds of the oven. Line two baking sheets with parchment paper. In a medium bowl, mix together the shredded coconut, sweetened condensed milk and vanilla extract. Set aside. In a separate bowl, beat the egg whites and salt until stiff peaks form. Use a large rubber spatula to fold the egg whites into the coconut mixture. Using two spoons, form heaping tablespoons of the mixture into mounds on the prepared baking sheets, spacing about 1 inch apart. Bake for about 25 minutes, until the tops are lightly golden and the bottoms and edges are deeply golden. 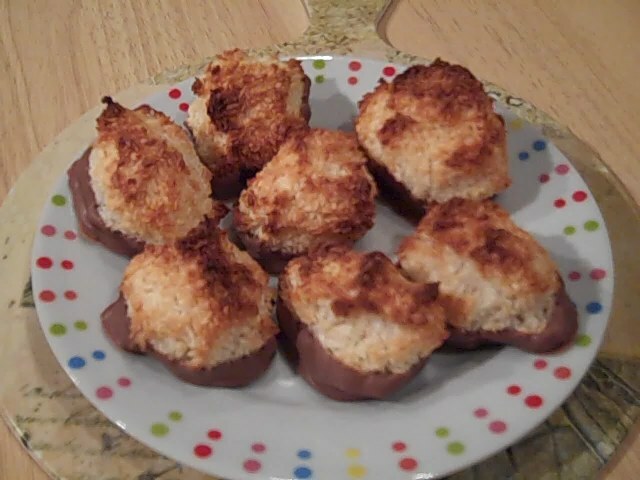 If dipping the macaroons in chocolate, melt the chocolate either in the microwave or over a saucepan of hot water. Dip the bottom of the macaroons in the chocolate then place them on baking parchment and place in the fridge until set. Ok so it might be chocolate, again, and it’s sticky but it must be good for you as there’s Weetabix in it, right? Preheat oven to 180C/Gas 4 – 5. Line a 25cm x 16cm tin with baking parchment. Mix in the melted butter, mix well and press into your lined tin. Stir condensed milk, butter and golden syrup in a saucepan over a low heat until butter is melted. Pour the caramel onto the base and return to oven for 5 minutes. Allow to set for awhile when you melt the chocolate in a bowl over a saucepan of hot water. Pour the melted chocolate over the top smoothing it over with a knife. Place in the fridge to set slightly, about an hour, then cut into slices and enjoy. Love Peanut Butter, love Chocolate? Then you’ll love these. Place the biscuit crumbs, icing sugar, butter and peanut butter in a food processor and process until it comes together. 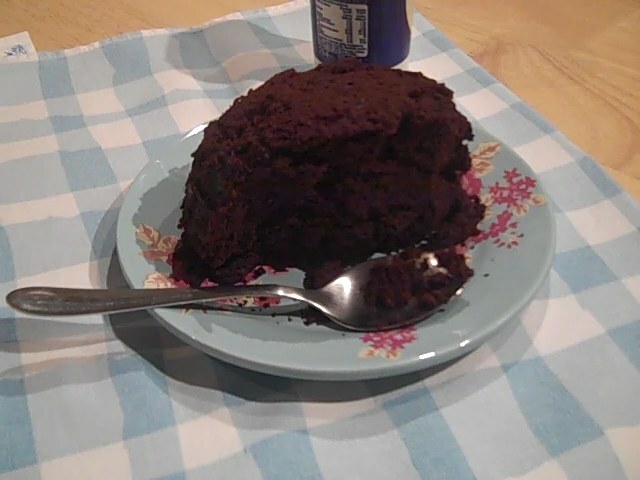 Tip the mixture into a parchment lined 18cm by 26cm tin or pyrex dish and flatten it down, then place in the fridge. Place the chocolate in a basin over hot water until completely melted, pour over the peanut butter base and smooth over. Place in the fridge for the chocolate to set for an hour. Take out of the fridge for half an hour before cutting as it makes it easier to cut through the chocolate.